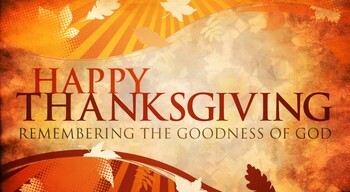 This year Thanksgiving Day is on Thursday, November 22. We will celebrate Thanksgiving Mass at 10:30AM followed by a traditional Thanksgiving dinner in Resurrection Hall. Please contact the parish office if you plan on attending.